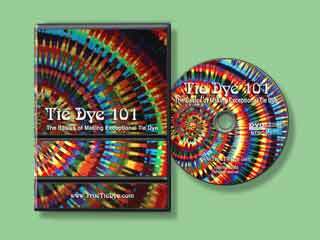 Tie Dye 101 is the essential "How To" resource for artists of all ages. Demonstrates a complete, proven system. No sewing or expensive tools required. Procion MX dyes clean up easily with water. Covers a variety of sample projects. Ships within 24 hours - Order yours today! Learn more about Tie Dye 101 here.